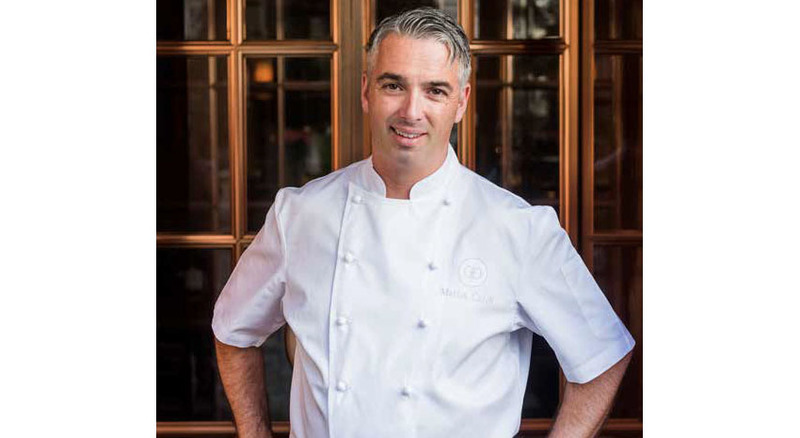 A LOVE OF NATURE INSPIRES Chef Martin Göschel both in and out of the kitchen. When he’s not skiing, jogging or mountain biking, he’s bringing the character and natural surroundings of his region into his cuisine. As of May 1, 2017, that region is the surroundings of The Alpina Gstaad, where Göschel is responsible for the Michelin-starred Sommet and MEGU, Swiss Stübli, the Alpina Lounge, room service and banquet facilities. 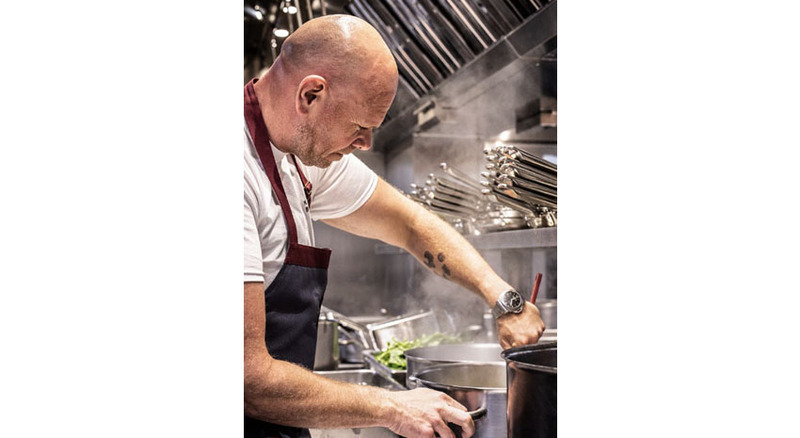 Göschel began his career in 1993 at the two-star Michelin Restaurant Bareiss before becoming chef at Tigerpalast Varieté Theater in Frankfurt, where he spent nine years earning accolades and awards, including a Michelin star. 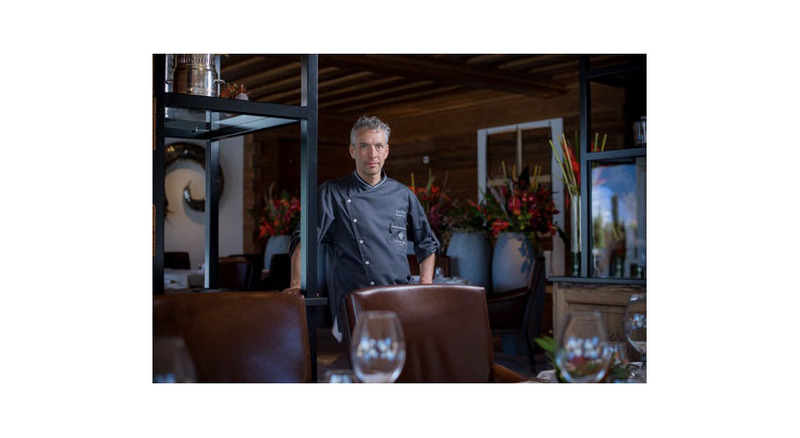 He also served as executive chef at Hotel Paradies and Restaurant Alte Post before joining the team at Alpina Gstaad, where there’s a serious focus on cultivating local farmers, beef producers and artisanal cheesemakers while creating healthy, fresh and delicious offerings for guests. Switzerland offers many exciting ingredients and products easy to integrate in my menus. The intense taste and excellent quality of the produce here is often due to the fact products grow more slowly at a certain high altitude. The wild herbs, the forest berries and, in autumn, the mushrooms all have an intense taste and smell. The cows, the lambs and the game are somewhat smaller than in other countries. You can taste the Alps in the tenderness of the meat. While there is a strong culinary legacy in Switzerland, today’s chefs have to think outside the box to make interesting dishes. Take a dish like Indonesian tempeh, which we make with the grain from this region. 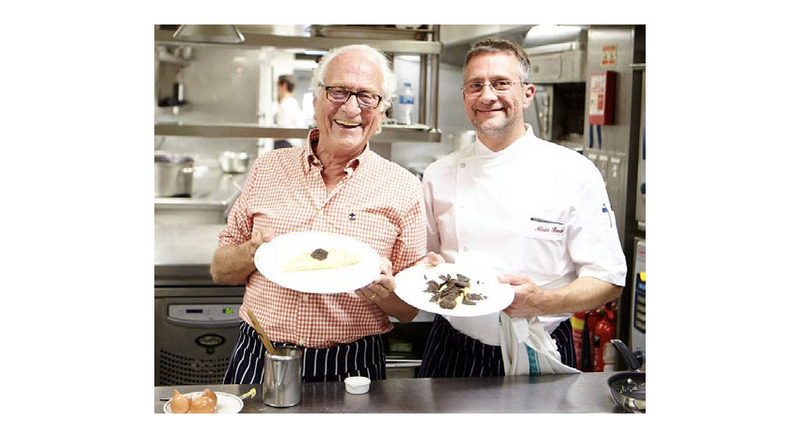 The chefs who created their own brand: Alain Ducasse, Paul Bocuse, Joel Robuchon, Hans Haas and Daniel Humm. I admire them for consistently believing in their own interpretations with seriousness, intensity and a drive for perfection. The fact they are recognized as their own brands is a grand achievement. Over my career, I’ve met many different kitchen chefs. I was able to learn important things from each. I’ve also had the opportunity to eat in a great many wonderful restaurants and found both the modern and classical ones exciting and inspiring. Through this combination of modern and classical, I found my own style. 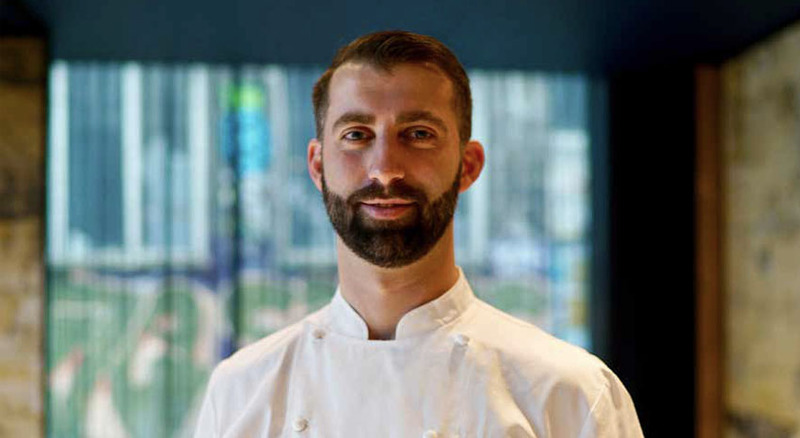 In addition to the award-winning chefs who I learned from, there were other supervising chefs who influenced me, like Robert Mangold, director, Tigerpalast Frankfurt, who has enormous expertise and a love of high-quality products but also never loses the sense of economic efficiency. The awareness of quality is still shaping me today. One of my favorites is San Sebastián in the Spanish Basque country. There, the Michelin star density is high, and new techniques and methods always bubble out. Another is New York City, as there are so many different culinary concepts. Every trend is celebrated, and you can immerse yourself in so many different kitchens and styles. Tomorrow’s cuisine will be oriented more to the vegetarian and vegan. The healthy food trend is upon us. In my opinion, it is a natural, balanced and healthy diet for the body. It is clear sourcing local is more and more important.